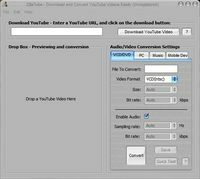 With our new software, you can easily convert your favorite online-videos into one of the three formats. The process of installation is very convenient, just click and download the software into your computer, then install with direction of prompt. With this software in the computer, whenever your mouse floating on a video, you may see a small green icon appears.